In this study, Copper-tetraaminophthalocyanine (CuTAP) was supported on polyvinylcholoride by reflux condition to produce heterogeneous recovarable catalyst. This catalyst was characterized using Fourier-transform infrared spectroscopy (FT-IR), X-ray diffraction (XRD), Scanning electron microscopy (SEM) and UV-vis spectroscopy. 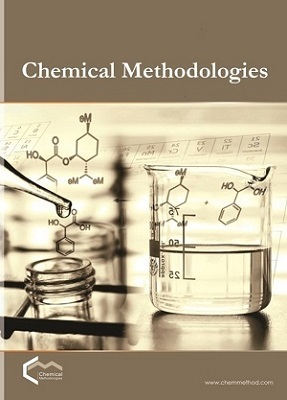 The results showed that the photocatalytic degradation of methyl orange was performed in mild conditions at ambient pressure and temperature under visible light. The synthesized catalyst could be readily separated from the catalytic system by centrifuging and loss of activity was negligible when the catalyst was recovered in four consecutive cycles. 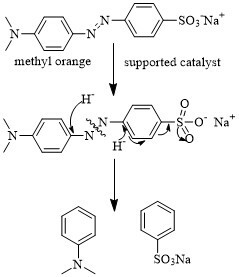 The effects of operational various factors such as catalyst amount, initial dye concentration and contact time on degradation of methyl orange were investigated. Optimization results showed that maximum degradation of methyl orange efficiency 98.6 % was achieved at the optimum conditions.